After a while with no updates the NebuTech BTMiner is back with a new name, a lot of changes and new functionality under the name NBMiner. 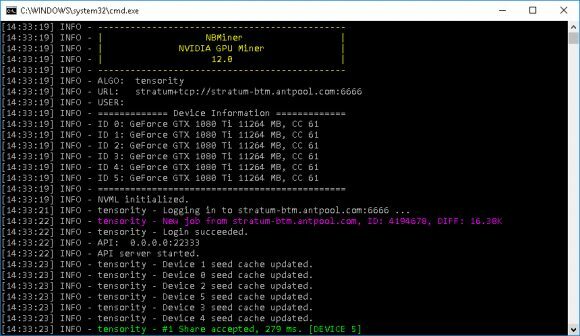 The miner is still intended for mining Bytom (BTM) on Nvidia GPUs and the latest version brings a lot of new stuff with the miner becoming more like other miners you are already used to with. 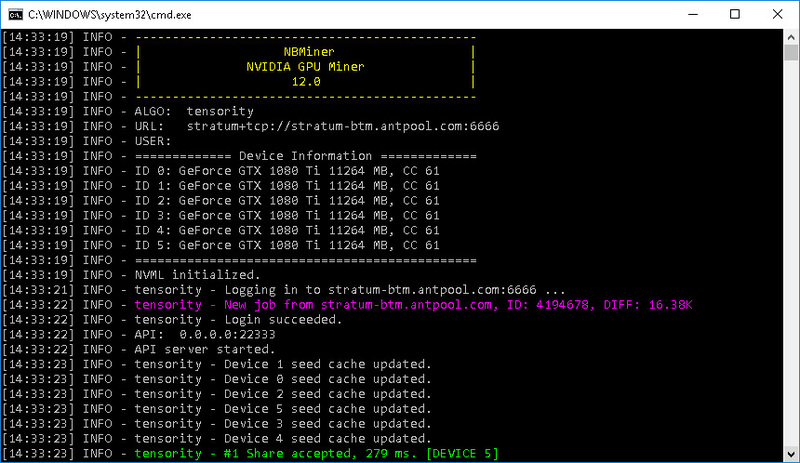 Apart from improved BTM hashrate, added support for backup mining pools and a decreased developer fee to 2% (down from 3%) the new miner comes with a BTM+ETH dual mining mode as well as XMR+ETH, thiugh it seems that there are some issues with that as version 12 temporary removes the XMR support, but it should be back. We remind you that the NebuTech BTMiner is a closed source Bytom (BTM) GPU miner for Nvidia CUDA (drive version to 377 or newer is required) that is available for both Windows and Linux operating systems and it has a 2% developer fee built-in.